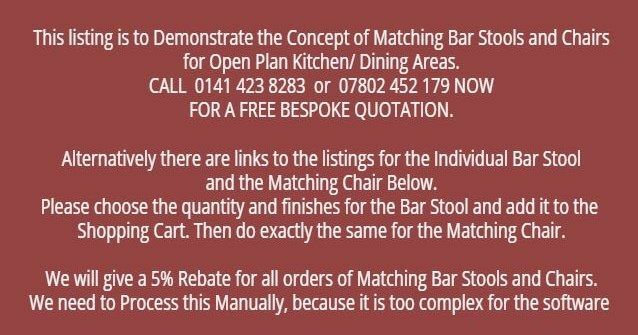 This Listing features the Glamour P Bar Stool and the Glamour P Chair, both with the additional cushion option. (Hence Glamour PC.) These are like armchairs. The additional cushion shows as an optional extra on the main listing. There is also a Glamour S Bar Stool which is available with an additional cushion and/ or a Button Back. These are like Side Chairs. The additional Cushion and the Button Back show as optional extras on the main listing. 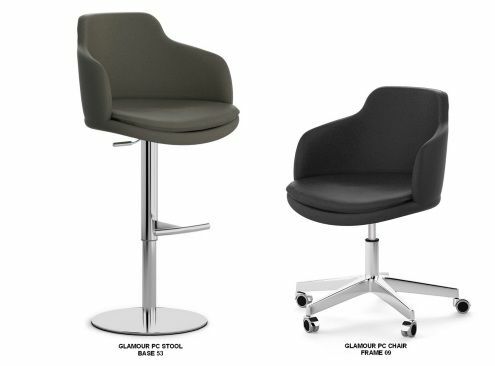 In Addition, there is a Glamour S Chair, which is also available with the additional Cushion and/ or the Button Back, as optional extras. Please contact us by e-mail or phone if you have any queries regarding the above. We will be happy to help.